So I was wandering around the local park and I took this amazing picture of some leaves and was all teary eyed thinking about the beauty of nature and how wonderful things are. And it got me thinking: nature’s larder is at its most stunning during this incredible season! But what can I possibly cook that is at once inspiring and highly original? After much careful consideration I figured an interesting approach would be to cook with something everything comes from. So I’m totally going to cook soil because I figure no one has ever done that before! So what does soil taste like? 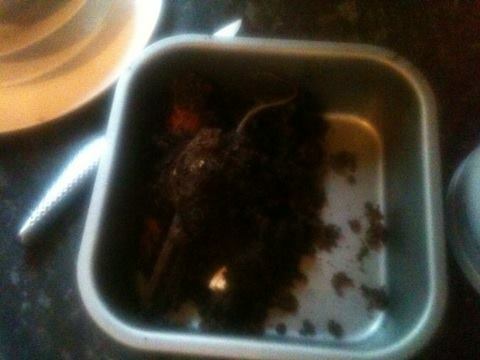 Thing is, I could reasonably say it tasted of anything because no one out there is going to eat soil like me. No one is that stupid. So I could say it tastes like crayons…or I dunno….Saturn…or disappointment….or brown. It doesn’t. Soil is pretty much tasteless save for a very slight sour taste. It does not have the aroma of soil that I expected but maybe this was the brand of soil I got which was a very old pot used to grow some corriander I got at my local Tesco Metro. Soil is also quite gritty, but I guess you knew this. Anyhow, what will I make with my soil? Let’s face it: it’s pretty inedible. But maybe I could bake something in it, like where they salt bake stuff? 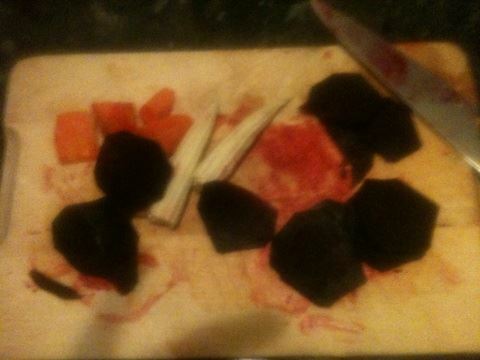 A carrot, a beetroot, some micro sweetcorn things. Then I thought I should do some research about what temperature to use and how long to bake for but I basically couldn’t be bothered, so I shoved them into an oven at 150c for about an hour. And here’s the amazing result! To be fair, they were fine. 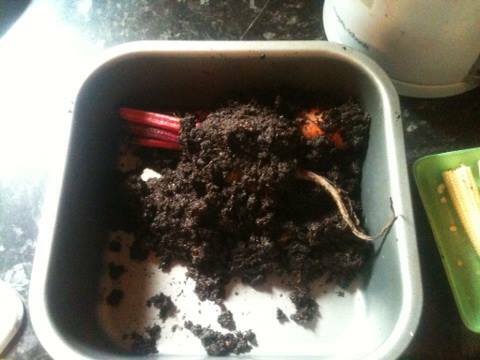 But what to do with my amazing soil baked goodness? Annnnnnnd how does it taste? I think the vegetables could maybe have been roasted for longer. Don’t get me wrong, they are jolly nice, but I can see with more baking they would have been sweeter than the are; the beetroot especially would have been amazing. And the dressing works really well as does the crispy chorizo bits. So, overall a success. I totally think you can use soil to bake stuff in and it would be a cheaper alternative to salt. But what do you think? Brave? Visionary? 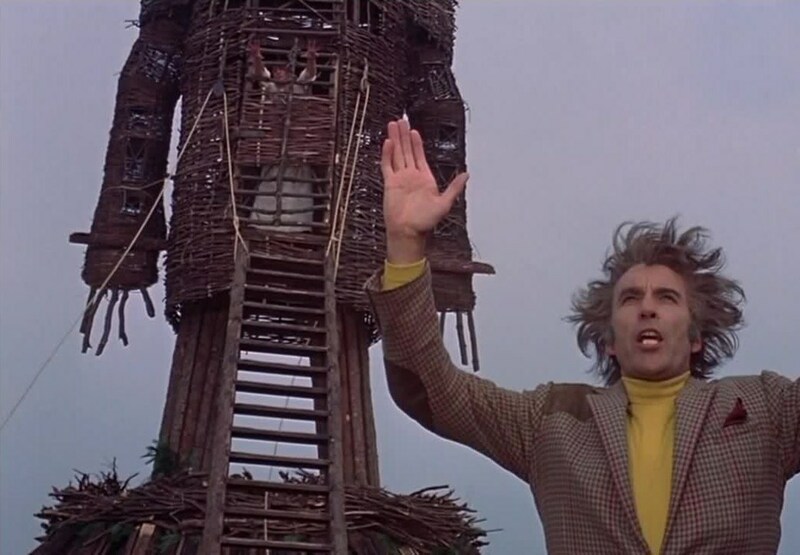 Have you watched the Wicker Man? 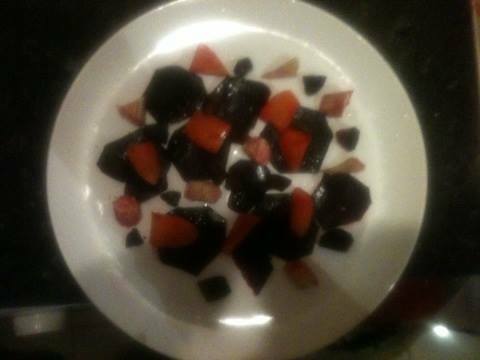 In other news I fear I didn’t make the Observer Food Monthly awards. I am sad, but I totally understand that maybe cat food and soil are a bit avant guarde for subjects of a serious food blog, which this is by the way. Although if you disagree, maybe hit me up on twitter where we can disagree together! Interesting, but plants don’t really come from the soil in the sense that they’re made from it. Plants are mostly made from water and carbon, which they get from the air, not the soil. They only get a few trace chemicals from the soil. you would expect such intellectual integrity from this blog of course!